I took a small 75 share position in CLF today at $102.01. This one’s an early breakout pullback. 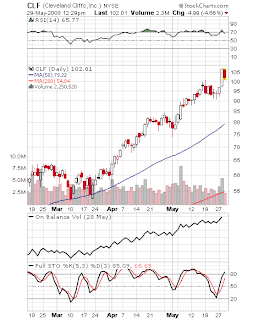 The stock could pullback to the breakout point at $97 and still look good. My stop is around $95 with an undefined upside target in new high territory.